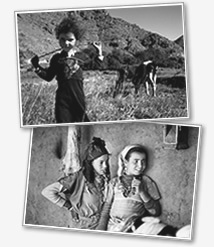 Education For All needs your help to make education a reality for more girls in Morocco. There are many ways to get involved, and your efforts will make a huge difference. Learn how you can sponsor a girl though a school year. Volunteer with Education For All and help in the houses. Find out how your company, business or organisation can get involved. Take part in the annual Marrakech Atlas Etape. Find out ways in which your school or college can get involved. Some ideas about raising funds to support Education For All. Help is urgently needed. Please make a donation to Education For All.